This is the second movement from Telemann's Sonata No. 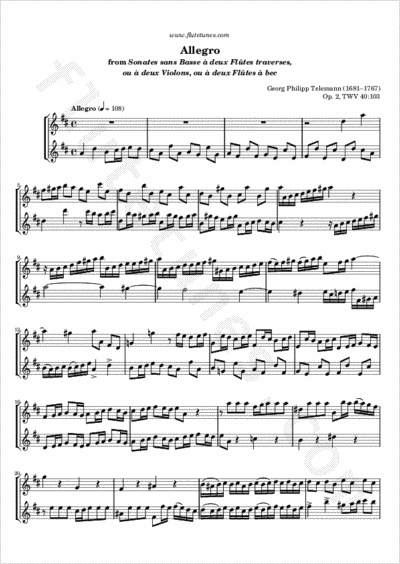 2 in D major for two flutes/recorders, published by the great Baroque Composer himself in 1727. This movement is marked “Allegro” and should thus ideally be played at a quick, lively tempo. As usual, take your time, and don't try to play along with the MP3 recording straightaway.